Ziggy is a desk by de Breuyn. It is height-adjustable and can be used from kindergarten age, but adults too can easily work on it. 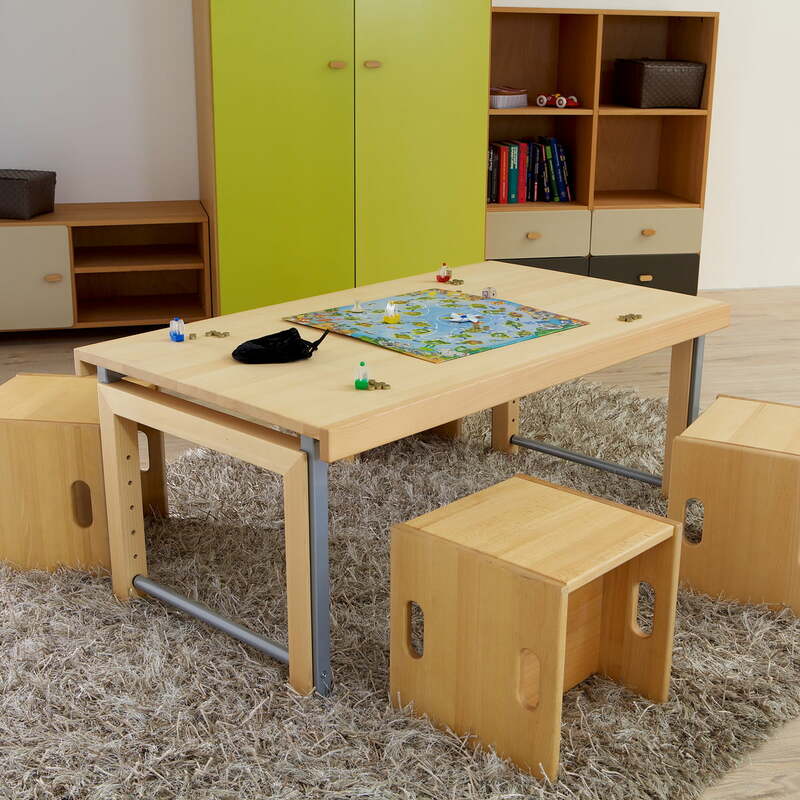 The large desktop has enough space for two DIN A4 sheets in a row and fits into every kid's room no matter how small. Thanks to its unique frame four children at a time can sit at it on two sides - to play together, do some colouring or handicrafts. The Ziggy desk is available in two versions. One version has a continuous tabletop which can if necessary be retrofitted with a tilt mechanism. The second version is a model with a divided top. One-third of the top remains in a horizontal position as a place for lamps and utensils, while the workspace can be tilted to provide a better sitting position. Ziggy can also be assembled right-left reversed. The Ziggy desk made of solid beech wood is part of the debe.detail collection from de Breuyn and is available in the colours and materials of the debe.deluxe, debe.destyle and debe.delite furniture collections. The metal frame is painted in a choice of white or metallic grey. 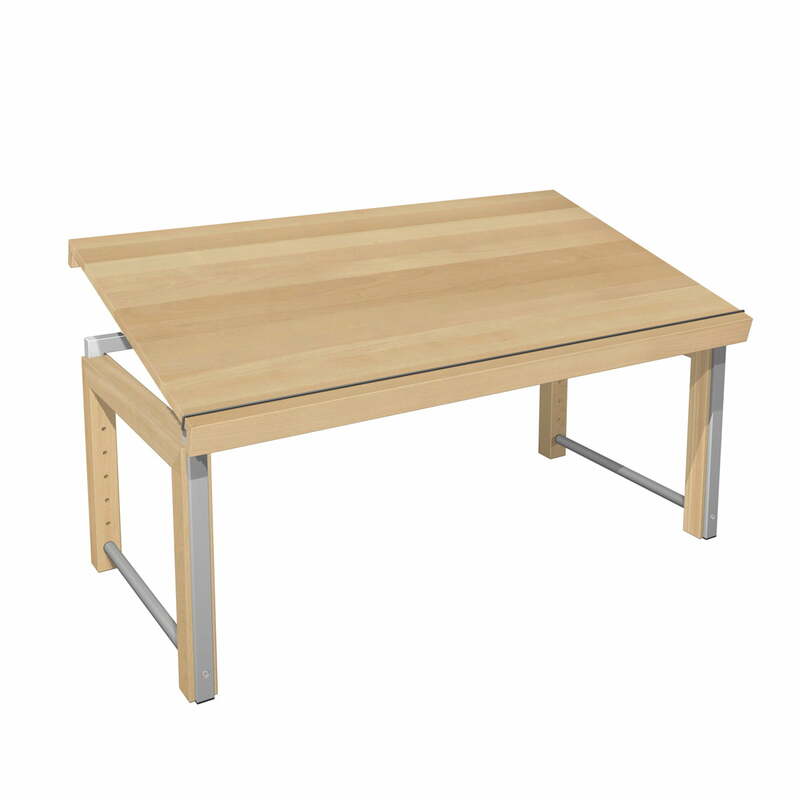 Ziggy desk, continuous top by de Breuyn in natural beech wood / grey metallic. 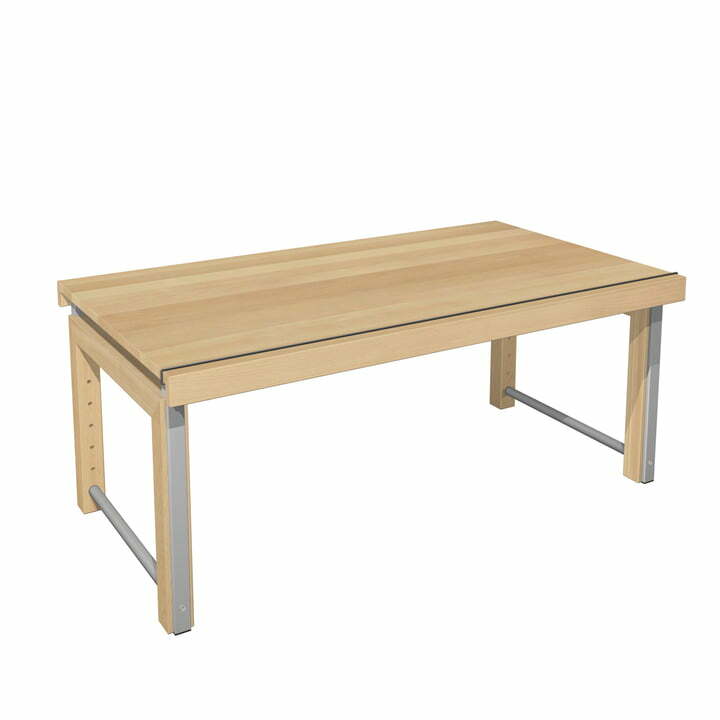 The Ziggy Desk by de Breuyn has a continuous top which can if desired be retrofitted with a tilt mechanism in order to provide for a better sitting position. 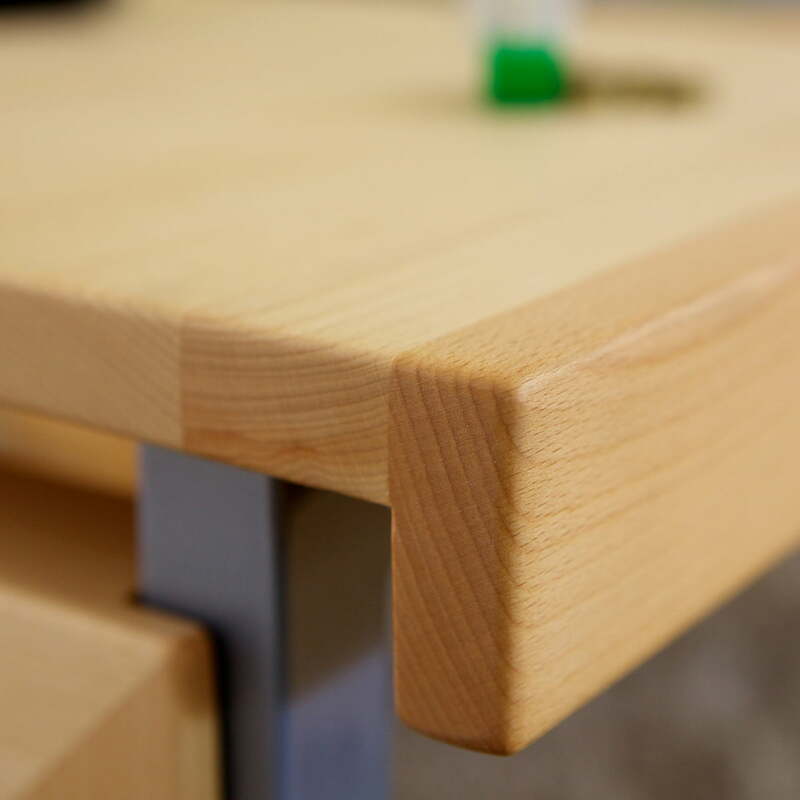 The desk Ziggy made of solid beech wood is part of the debe.detail collection from de Breuyn and is available in the colours and materials of the debe.deluxe, debe.destyle and debe.delite furniture collections. 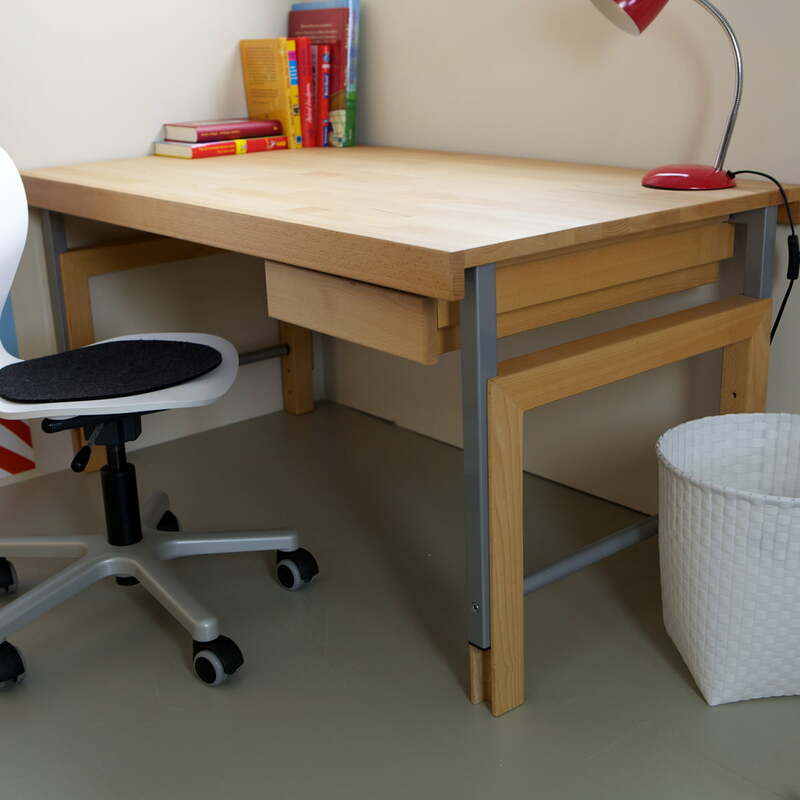 The large desk top has enough space for two DIN A4 sheets in a row and fits into every small kid's room. The drawer provides storage space for pens and other utensils. The Ziggy desk is available in two versions. One model has a continuous top, the second version is a model with a divided top. The drawer is separately available for both variants.